Following a lifelong passion for plants and a career in plant science spanning almost 20 years, I took the plunge in 2002 into the more creative world of garden design. Having studied for a Garden Design Diploma and spent several invaluable years working alongside some of the very best designers and landscapers, I have been involved in a large number of diverse projects, from a tiny green roof to an enormous natural swimming pool, and have designed and overseen the build of a very large number of gardens. My philosophy is that gardens should be both attractive and practical, and they should deliver pleasure throughout the year. My layouts are generally simple, with unpretentious styling. I like to use natural materials of good intrinsic quality and finish. 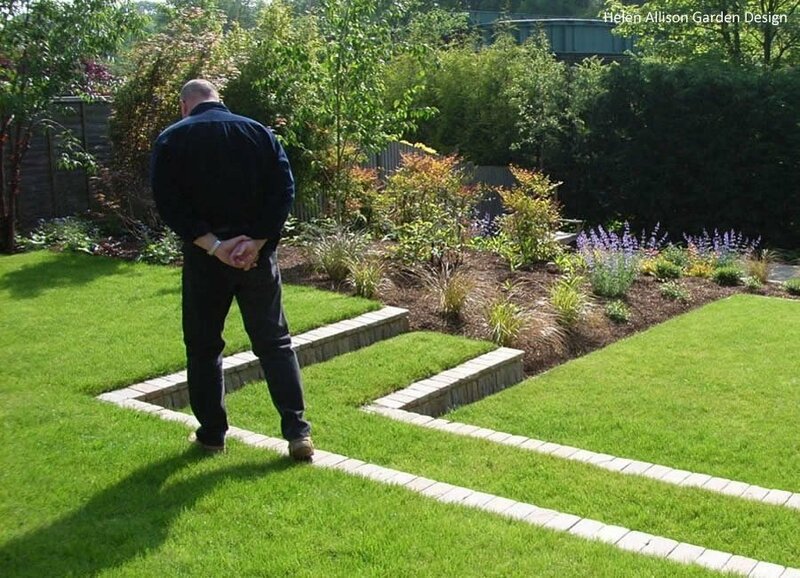 I design gardens to sit comfortably with the landscape and existing architecture, and of any size, from a ‘tiny town’ to a ‘large country’ garden. 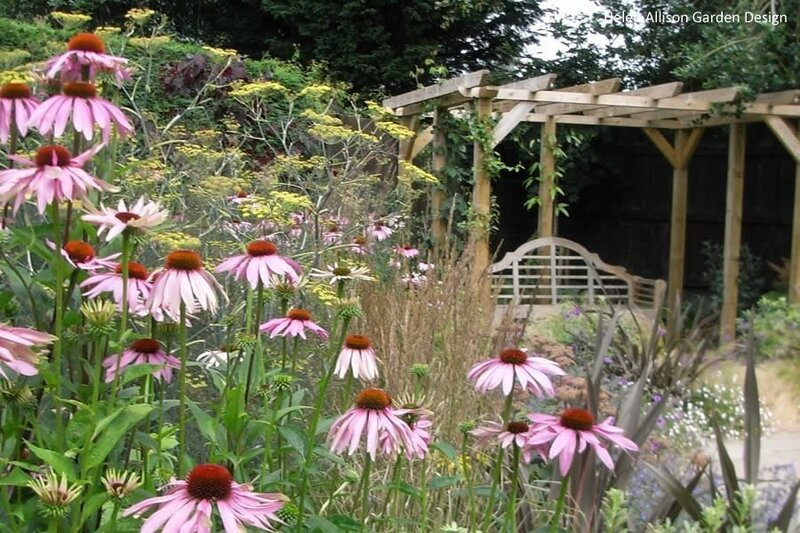 Each bed or border is a bespoke solution, placing a high emphasis on plants that are well-suited to the local soil and climate conditions, resulting in the fast establishment of strong and healthy plants, greatly reducing your costs and time needed for plant maintenance. Developing relationships with the people I work with is one of the most rewarding aspects of my job. I am determined that my gardens succeed on every level for my clients; be that aesthetic, practical or just fun. A thorough, conscientious approach, tailored to the individual, typically results in building-up trusting, collaborative, and long-lasting relationships with my clients. Starting several years ago with her spectacular plans for our replacement terrace and walls, Helen has continued to be an endless source of advice and inspiration. 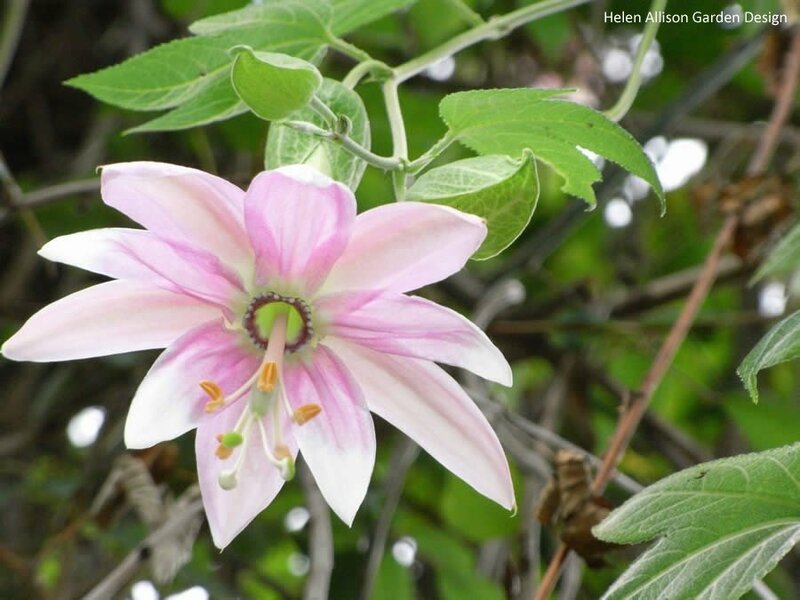 She is happy to stroll through our garden once or twice a year suggesting and organising improvements. No job is too large or too small – as long as you give her a cup of peppermint tea! Helen’s professional eye has been invaluable to the daunting process of re- designing our large “lost its way” farmhouse garden. Helen is friendly and approachable, and she listened to and interpreted our brief well. 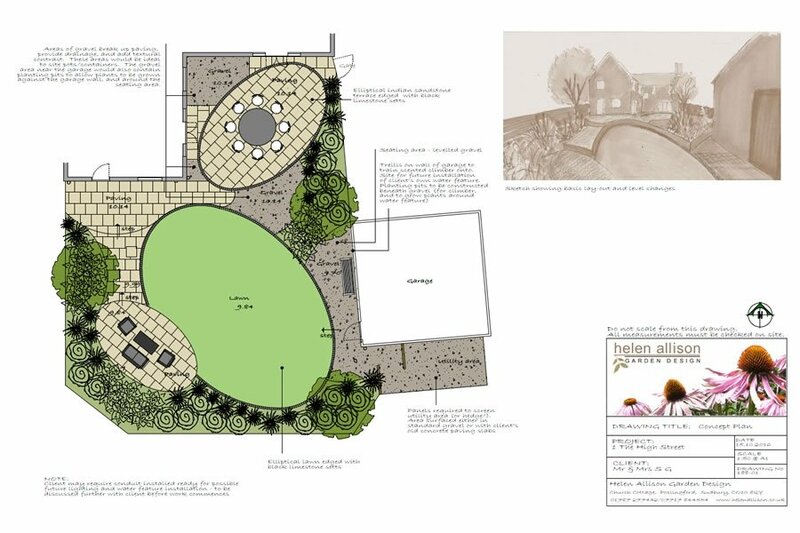 We were pleased with all aspects of Helens service, the accurate and comprehensive site survey was particularly impressive, as was her horticultural knowledge clearly apparent in the beautiful planting plan she has designed and for us. Just can’t wait to watch our lovely new garden mature in the coming years.